We are the best rehabilitation center and drug de addiction treatment hospital in ludhiana. We are also famous for best nasha mukti kendra in ludhiana. We are providing deaddiction treatments for all types of addictions and drugs like alcohol, heroin, cocaine, smoking, cigarette, tobacco, Opiates, amphetamine, Ganja, charas, Chitta, Brownsugar, Cannabis, Dode, Bhukki, Opium, Methadone, Buprenorphine. We provide Near-Painless Treatment for types of drugs and addictions like lcohol, heroin, cocaine, smoking, cigarette, tobacco, Opiates, amphetamine, Ganja, charas, Chitta, Brownsugar, Cannabis, Dode, Bhukki, Opium, Methadone, Buprenorphine. If you want to get de addiction treatment and rehabilitation treatment for such addictions and want to live a relaxed and happy life, then our hospital and centre will help you in this. By adopting deaddiction treatment from our centre, you will definitely leave all such drugs and enjoy a happy life. Once an addict decides to leave drugs irrespective of the nature and duration of drugs total deaddiction is possible, and that too near-painless. 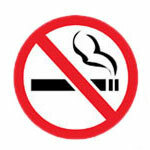 Yes, you can get rid of your addiction irrespective of the amount and duration of intake. With modern era of medicines and with hitech medicines and techniques available deaddiction is surprisingly not a difficult process. At present we are doing detoxification with three techniques which are very modern and Hi- Tech. The most recent and Hi-Tech technique is called SANR. All opiates can be treated with this technique. In this technique, de-addiction / detoxification is done in just 3-4 hours and it is near-painless. In this technique the brain cells are washed and normalized with special medicines so that within 3-4 hours complete neuro regulation takes place and the drug present in the body is completely washed out. Fasting for 24 hours is required. Drugs like heroin , smack , opium, dode (post) , codeine, syrups like corex & phensydryl. Lomotil, methadone dextropropoxypene capsules or tablets, tramadol , injection like norphine , morphine , fortwin etc. can be successfully treated by SANR. The above drugs are called opiates. SANR is near-painless and during the process the patient does not feel any discomfort. Once the Detox is complete, Naltrexone is given to the patient under medical Supervision to prevent relapse to Opiates and alcohol. Oral tablets, Injections & Implants. Naltrexone is a medication that blocks the effects of drugs known as opioids (a class that includes morphine, heroin or codeine). It competes with these drugs for opioid receptors in the brain. It was originally used to treat dependence on opioid drugs but has recently been approved by the FDA as treatment for alcoholism. In clinical trials evaluating the effectiveness of naltrexone, patients who received naltrexone were twice as successful in remaining abstinent and in avoiding relapse as patients who received placebo-an inactive pill. 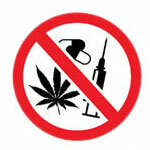 Drugs like heroin , smack , opium, dode (post) , codeine, syrups like corex & phensydryl. Lomotil, methadone dextropropoxypene capsules or tablets, tramadol, buprenorphine, injection like norphine , morphine , fortwin etc. can be successfully treated by SANR. The above drugs are called opiates. Naltrexone is an opioid receptor antagonist used primarily in the management of opioid dependence. Naltrexone works by blocking the opioid receptors in the brain and therefore, eliminating the effects of heroin, methadone, morphine and other opiates. The effect of Naltrexone is to block the part of your brain that feels pleasure when you use narcotics. Naltrexone does not make you feel sick if take drugs while taking it, but makes it impossible to get high. While the precise mechanism of action for naltrexone's effect is unknown, reports from successfully treated patients suggest three kinds of effects. First, naltrexone can reduce craving, which is the urge or desire to drink. Second, naltrexone helps patients remain abstinent. 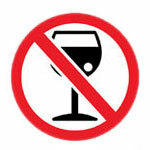 Third, naltrexone can interfere with the tendency to want to drink more if a recovering patient slips and has a drink.